As a fan of the early Spenser novels, I read this because it was one of the last (if not the last) written by Parker. The later Spenser novels had a perfunctory feel to them, and this -- which bears some resemblance to Early Autumn in that Spenser mentors someone -- doesn't really escape that assessment. Parker's plotting is good, but you read a Spenser novel for the characters and dialogue, which hasn't changed much. I found Sixkill interesting, but it lacks depth; the "Z" character seems to step almost fully formed, and Spenser's big showdown with a master killer fizzles a little. Spenser remains a seminal figure in American crime fiction, but I'm glad Parker was branching out. 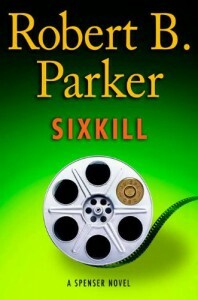 While I liked Sixkill just fine -- and I'm glad I read what may be the final Parker-written novel in the series -- as a standalone book it's tautly written but unremarkable.